What Google Cloud Print Triggers and Actions are Supported? New Print Job - Triggers when a print job is sent to a chosen Cloud Print printer. When you connect a new Cloud Print account, Zapier also creates a special virtual printer you can use (which does nothing other than trigger this Zap). Submit Print Job - Add a document to the print queue. Mark Print Job Finished - Mark an in-progress print job as finished. Commonly paired with the Cloud Print "new print job" trigger. After this action runs, the print job's file is deleted from Cloud Print and no longer accessible. The action "submit print job" enables you to automatically send files (PDFs, HTML, or plain text) to a Cloud Print printer. This action will physically print the content from your real-world printer. A common use case is connecting a Dropbox or Google Drive folder to Cloud Print so whenever you drop a file into the folder, it will be actually printed! 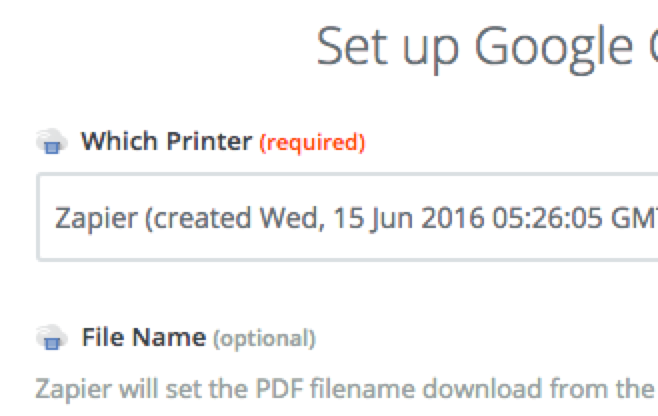 Tip: you can manually rename the virtual printer inside Cloud Print! When a Zap sees a new print job, it will mark it "In Progress" inside Cloud Print and trigger the Zap. 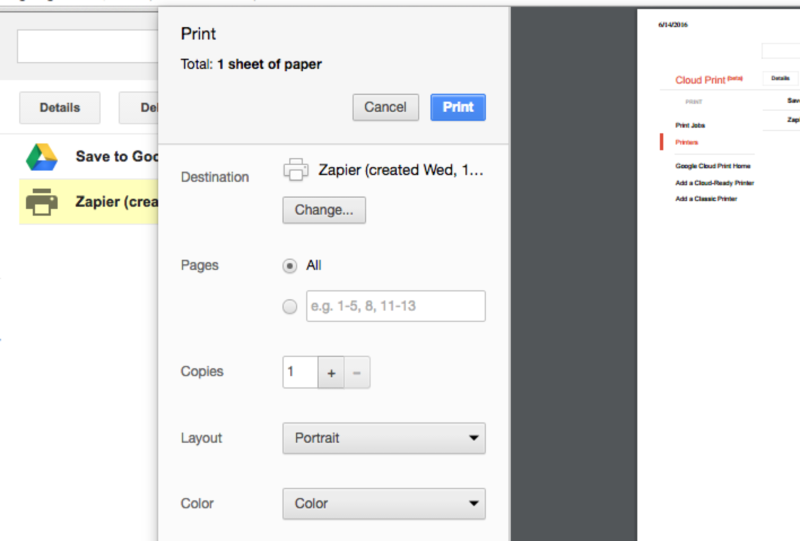 Tip: you can trigger multiple Zaps from the same virtual printer! The value you put into this field will be available in your Zap as a field called Pass Through Text. 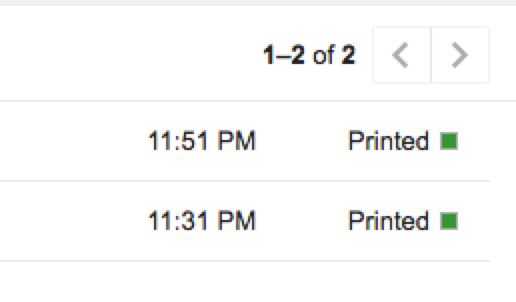 Using this action will update the status of a print job to "Printed" and delete the print job file from Cloud Print. This means you will not be able to download the file again or use it in Zap steps. Note: be particularly careful if you're using the same virtual printer to trigger multiple Zaps -- if you mark it finished before the other Zaps run, they will break.